Orlando, Fla. – Imagine waking up today and seeing Tiger Woods and numerous other top professional golfers playing a private two-day tournament on your backyard golf course. For resident members of Lake Nona Golf and Country Club, that’s precisely the plan as the Tavistock Cup tees up for the ninth consecutive year in Orlando. The opening matchup is a foursome to follow with Woods and Team Albany partner Justin Rose going against Charles Howell III and Bubba Watson of Team Isleworth, the cross-town private club community that started this rare sporting event. For early drama, Rose is coming off his first World Golf Championship victory at Doral Resort, defeating Watson by one shot. Overall, the ninth installment of the event features 24 of the top touring professional members of Albany, Isleworth Golf & Country Club, Lake Nona and Queenwood Golf Club. The tournament’s first-day pairings feature better ball stroke play. The second-round pairings feature individual stroke play. The Tavistock Cup has become one of the most unique golfing events of the year as tickets are not sold to the public. Only club members, sponsors, designated charities and invited guests are able to attend the two-day event. Once in, there are no ropes separating the world’s best players from the spectators. The tournament will be broadcast live on the Golf Channel in the U.S., Canada, China and Japan and airs on international affiliates throughout the United Kingdom, Australia, Latin America and South Africa. TavistockCup.com will feature real-time live scoring of the 2012 Tavistock Cup. Each year, Tavistock Cup contestants play for prize money, team hole-in-one prizes and the title of World Golf and Country Club Champion. But the tournament also exists to raise money for many worthy causes. The Tavistock Cup has generated more than $7 million for charity in its short history. In addition to various player charities, a number of major beneficiaries include The First Tee, Orlando Minority Youth Golf Association, M.D. Anderson Cancer Center, The UCF Foundation and the Sanford-Burnham Medical Research Institute. Tavistock Group is an international private investment company founded by Joe Lewis. With investments in more than 200 companies across 15 countries, Tavistock Group’s investment portfolio includes: life sciences, sports teams and sporting events, manufacturing and distribution, oil, gas and energy, financial services, restaurants, commercial properties, private luxury residential properties, resort properties and master-planned real estate developments. Albany is the newest luxury resort community created by Tavistock Group, Woods and fellow Tavistock Cup participant Ernie Els. Nestled among approximately 600 oceanfront acres on the southwestern end of New Providence in The Bahamas, Albany is conveniently located seven minutes and five miles from Nassau’s international airport. Albany features an array of residential offerings and amenities for all members of the family, including a well-appointed boutique hotel, a 71-slip mega-yacht marina, an Ernie Els-designed golf course, a fitness center and spa, an adult pool and bar, a family water park, a kids’ clubhouse and casual and fine dining restaurants. Albany’s deep-water marina is being designed and built to aesthetically rival the great resort ports of the world. Isleworth Golf & Country Club is a 600-acre private residential community with more than seven miles of shoreline and a championship golf course. Conceived by Arnold Palmer, designed by Ed Seay and enhanced by Steve Smyers, Isleworth’s course is consistently ranked one of the longest and toughest in Florida. Isleworth is home to an 89,000-square-foot Mediterranean-style clubhouse where members have access to multiple dining venues and a fitness center. Members also enjoy tennis facilities, a year-round children’s program, concierge services and 24-hour gated security. Isleworth’s natural lakefront setting lends the perfect backdrop for its collection of monumental sculptures. Elegant estate homes, priced from $2 million to more than $20 million, are afforded commanding golf to water views. Offering world-class education, exceptional family experiences and outstanding amenities, Lake Nona Golf & Country Club has delivered the highest quality of living in Central Florida for more than 25 years. A vibrant, international population of members and residents enjoy an active lifestyle along with a full social calendar for recreation, celebration and entertainment. 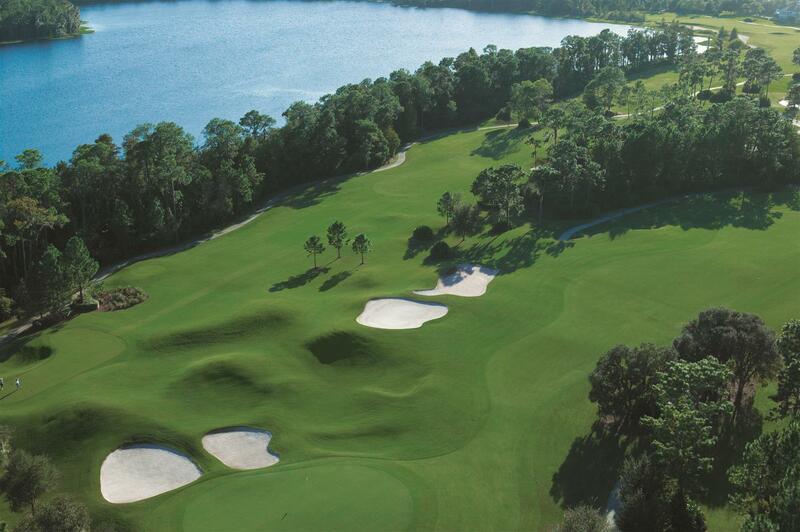 Lake Nona’s Tom Fazio-designed championship golf course is world-ranked and has been a regular host of the PGA TOUR-sanctioned Tavistock Cup. Lake Nona also features a newly renovated fitness center, guest lodge, tennis courts and pool, year-round children’s programming, as well as a trio of pristine lakes providing freshwater fishing and boating opportunities. Just outside the gates of this private sanctuary lie numerous parks and trails, diverse workspaces, as well as forthcoming retail and entertainment choices beside a cluster of hospitals, universities and research institutions setting new benchmarks in medical education, patient care and scientific research. Queenwood Golf Club is a traditional private golf club nestled in the heart of the rolling Surrey countryside near London. Founded by American entrepreneur Frederick D. Green, Queenwood features a heathland course, extraordinary clubhouse facilities and a limited membership. Queenwood’s course is the creation of David Kidd, widely known for his work at Bandon Dunes in Oregon. Providing sophisticated tranquility for members and their guests, Queenwood’s clubhouse offers a wide array of services available throughout the year, including fine dining experiences and luxurious guestrooms.